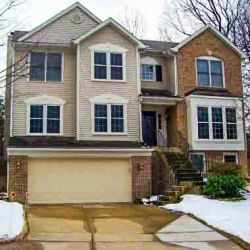 Seneca Creek Home Improvement offers professional siding installation to the residents of Gaithersburg, Maryland. Vinyl siding is extremely durable. It increases the beauty of the home, and it provides protection against the elements. Seneca Creek Home Improvement professional installers will work closely with homeowners and business owners to help them find the right style and brand of siding for their property. Their goal is to inform their customers about sidings benefits while at the same time making the process of selecting the material, delivering the material, and installing siding on their home as easy and worry free as possible. In addition to the vinyl siding, Seneca Creek Home Improvement installers are proud to offer James Hardie siding products. James Hardie siding has a reputation for being durable as well as attractive. Homeowners who have chosen to install this brand of siding on their home comment on how easy it is to maintain. One of the features of James Hardie siding is its baked on color application that allows the siding to maintain its vibrant color year after year regardless of what Mother Nature throws at it. Additionally, homeowners are able to select siding that provides maximum performance in the climate they live in. Homeowners who are looking to sell their home are interested in having Seneca Creek Home Improvement professional installers install siding on their home. In addition to increasing the home's curb appeal, which will in turn attract more buyers, the right type of siding can actually increase the home's value. Siding can save homeowners money on energy bills because it is insulated to increase a home's R-value, or thermal efficiency. This means that the home stays warm during the winter and cool during the summer. Homeowners no longer have to worry about fiddling with their thermostat. Siding is wind and impact resistant. This means that homeowners will have more time to enjoy activities on the weekend as opposed to painting or repairing the exterior of their home. With more than two decades of experience behind them, Seneca Creek Home Improvement and its team of trained certified craftsman have developed a reputation for excellence. They love the work they do, they love the community they work in, and they are committed to providing the best service possible. This is when a straight line is scratched into the surface of a siding panel. This can be done with a knife or any other sharp tool. Once the panel has been scored, it can be bent and snapped into two pieces that will each have a clean edge. FAQ answered by roofing contractors Seneca Creek Home Improvement: Can siding be installed at any time of the year? Yes. Since siding is designed to withstand the changes in the seasons, there is no risk of it being damaged or broken if it is installed during the winter. Vinyl siding by nature expands and contracts with the changes of temperature. For this reason, siding panels are secured in a way that will allow for this movement without putting unnecessary stress on the vinyl.